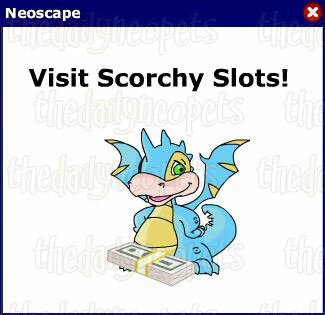 Advert Attack is designed to play on the aggravation everyone feels when annoying pop-ups interrupt your precious Neopets browsing time. You play as Ace Zafara, who is racing with a computer controlled race robot. Sloth and the Marketing Department of Virtupets Studios have a different idea though. It is your job to win the space race game while tolerating all of the pop-ups Sloth throws your way, preferably without screaming or breaking your mouse. Finish just 10 levels and you win the game! In order to make your spaceship go, you must press the 'GO!' button as fast as possible with your mouse. The button will move every time you click it, and you must press it 24 times in under 50 seconds to win the race and move to the next level. For every level you beat, you get 50 points plus a time bonus for each second you had left. The most important factor of Advert Attack is speed. You need to make sure you get across the finish line as fast as possible, so your focus should always be on that 'GO!' button. If something pops up but isn't blocking your way, ignore it. Moving or closing pop-ups that aren't in your way is just a waste of time. Although some pop-ups can be ignored, eventually you will have to interact with them. In earlier levels, you should just try to keep interfering pop-ups closed as much as possible. The early pop-ups are the smallest and are relatively easy to close. When pop-ups start getting bigger and harder to close, the best option is generally to move it out of your way. To do this, simply grab the uppermost section and drag it as close to the edge of the screen as you can. 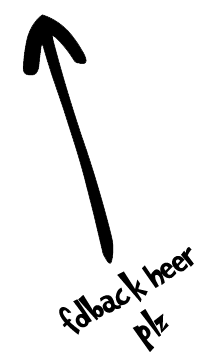 Some pop-ups require an extra click to drop, and will follow your mouse around the board until you drop them completely. Once you know which pop-ups do this, you will be able to judge for yourself whether you would prefer to move it or close it. Remember that the goal when playing Advert Attack is speed. Always choose the faster route. Changing the size of your game window is an option, but be aware that this has its pros and cons. If you make your game window small, you have to move your cursor less between 'GO!' 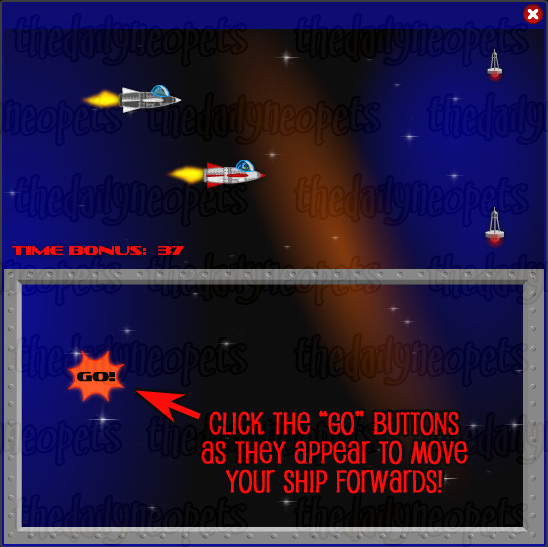 button presses, but it will be much harder to close and move pop-ups. Increasing the size of your game window makes it much easier to close pop-ups, but you have to move your cursor around the screen much more. Play around and figure out what works for you. You may find you play best without changing the size of your game window at all! A great way to help you click faster is to count aloud as you click. As mentioned previously, there are 24 'GO!' buttons in each level. When you do this, you don't have to estimate how far you are in the level, because you always know how close to 24 you are. 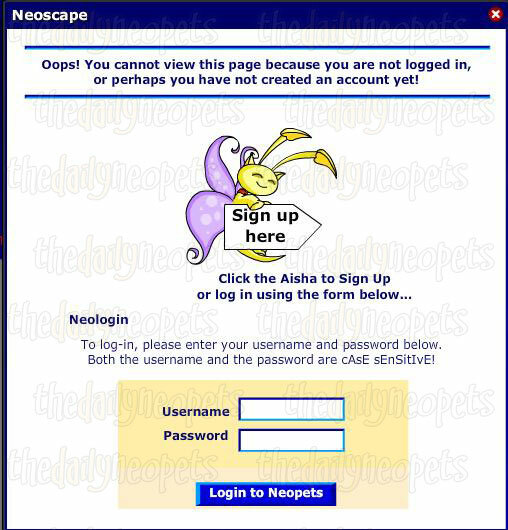 This is one of the first pop-ups. The only way to close it is to press the 'X'. This is one of the easiest to close. You can either press the 'X' or press 'OK'. This big pop-up is closed by pressing either 'NO' or 'X'. Press either 'X' or 'NO' to close this pop-up. 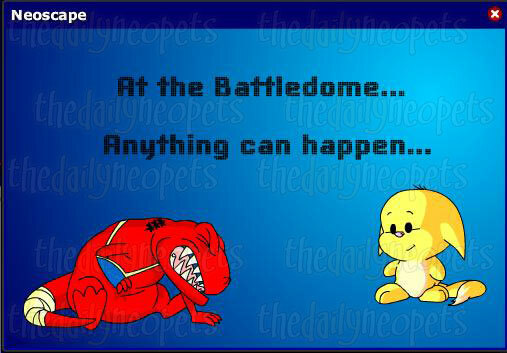 Neopets Veterans should remember this page. Unfortunately this big pop-up can only be closed by pressing 'X'. 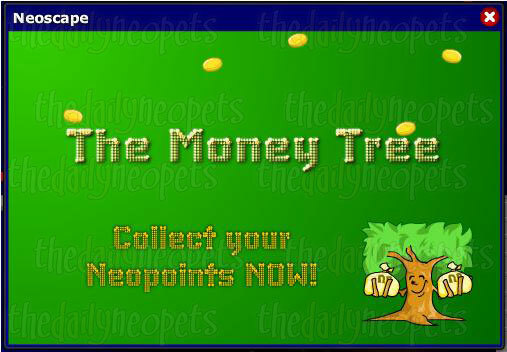 The Money Tree can be closed with the 'X' button. The classic picture of the kacheek and grarrl. This is one of the bigger pop-ups, which is only closed with the 'X' button. This pop-up is extremely aggravating because clicking on it will make another pop-up appear. Close it by clicking 'Close this Window'. This is a bigger version of the Mystery Island Training pop-up shown above. The kyrii pop-up is one of the later pop-ups that everyone hates. It is big, and the only way to close it is the 'X' button. Typing nopopups during gameplay will remove all of the current pop-ups from the screen. I highly suggest waiting until the higher levels to use this, because it can only be used once per game. Advert Attack can be a very fun game. Remember to ignore pop-ups that aren't in your way, and move those that are. 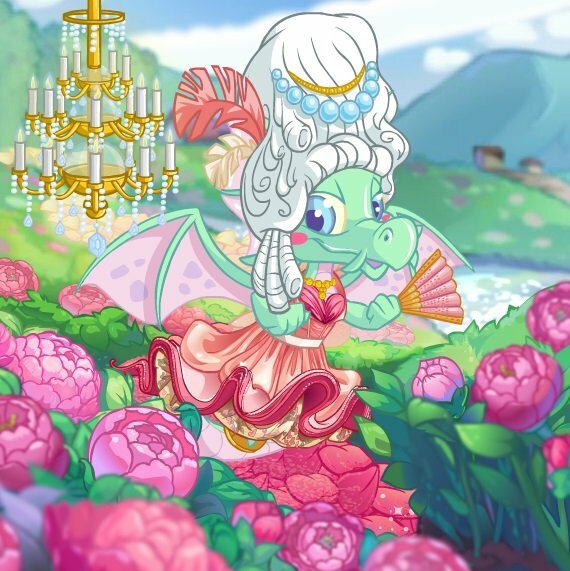 With enough practice and speed and all the helpful tips given to you here, you will have that avatar in no time!